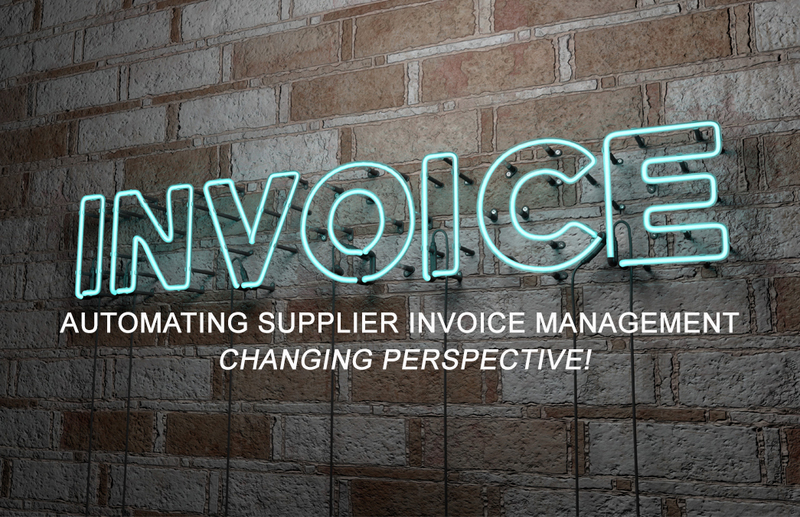 ExpenseAnywhere Blog - Automating Supplier Invoice Management - Changing Perspective! HomeBlogAccounts PayableAutomating Supplier Invoice Management – Changing Perspective! In today’s globally competitive business environment Organizations need to adopt and embrace automation, like never before. It is about corporate well-being! “If it ain’t broke, don’t fix it” is a cliché of the past. The processes of yesteryears although seemingly functional and prevalent in most organizations, may not be relevant in today’s business culture. To survive and grow, corporate CFO’s need to constantly and critically review and analyze the health of their companies, and put in place measures that ensure sustained profitability and operational efficiencies. Accounts Payable is one such domain ripe for automation with significant impact on company’s costs, controls, and overall process efficiency. Managing supplier invoices are daunting, painful and cumbersome manual processes- laden with errors, mistakes, fraud, and risk. Future belongs to those who can connect finance to technology; implementing solutions for supplier invoice management automation. It comes handy to organizations that demand strategic growth, cost control, and better supplier relationships. InvoiceAnywhere solution can be your organization’s strategic companions in gaining control of your procure-to-pay and supplier invoice management processes. This robust cloud-based solution automates the entire process in a jiffy! It instantly converts paper-invoices into 100% accurate data. Automatically performs 2/3/4-way PO matching, tracks and validates GST/SGST/IGST amounts; performs GL and cost allocations; and routes each invoice for approvals per your company’s policies and processes. Finally, the verified and approved invoices are posted to your ERP system for payments. The solution eliminates manual data entry, mitigates risk and fraud and accelerates your processes; provides visibility into your spend to make more informed decisions. This will be the year of Invoice Automation! Automating using InvoiceAnywhere can significantly reduce your invoice processing time and costs. The solution automates every aspect of your process. Eliminates duplicate invoices, validates and verifies against PO’s and provides cleansed data into your ERP. No mess, no mistakes, no manual data entry. Velocity with Visibility. With InvoiceAnywhere, you will have 100% accurate invoice data capture and obtain complete real-time visibility into your corporate spend even as the invoices got processed and approved with high velocity, accelerating the process and recognizing dynamic discounts from early-payments to vendors. Saves Time, Saves money! As all the data is automatically validated and reconciled, you need not spend much of your productive hours on unproductive tasks! Optimize: It’s never too late for any organization to start doing the right thing! Implementing best practices in your Accounts Payable processes optimizes productivity and ensure effective control, reduces costs with increased vendor satisfaction, and morale of your accounting personnel.